Experience this captivating, 4-bedroom, 3.5 bath mint condition contemporary home, flooded with natural light. 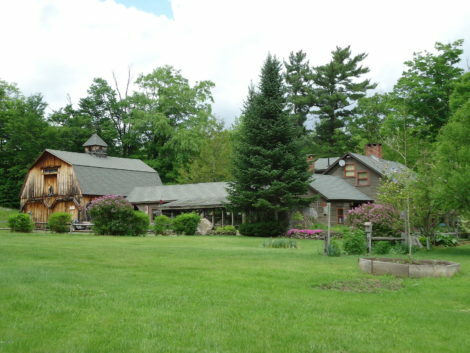 This serene 26-acre retreat is located on a seldom-traveled country road. Start your mornings off with coffee on the screen porch overlooking your park-like grounds. The open kitchen/dining area–which includes a chef’s kitchen with stainless appliances and radiant-heated slate floors – provides the perfect year-round space for entertaining guests or hanging out with family. Gather in the living room and relax in front of the wood stove on chilly nights. Lounge by the in-ground pool on hot summer days. Walk the woods to the gentle creek out back. And sit by the outdoor fire-pit and reflect on the crystal-clear stars. 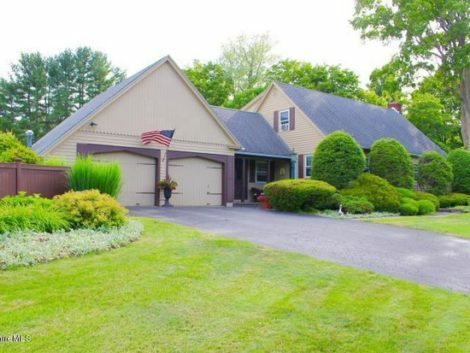 This impeccable home has it all in a fantastic outdoor setting. Designed by Palmer and Horbostel, this home is sited on 4.5 private acres of lush manicured grounds and gardens designed by Barry Webber. The unparalleled grounds afford space for large gatherings, intimate “tête-à-têtes” and a future pool and tennis courts. This spacious home presents with just under 7,000 square feet, with 15 rooms, 7 bedrooms and 5 1/2 baths. There are 5 fireplaces in rooms with 9-foot ceilings that offer open flowing movement for entertaining, and are filled with period architectural detail, parquet floors and fine lighting. Virtually every room has views looking out over the lush private grounds. The kitchen will meet the requirements of any fine chef and is completely refined with upgrades. The conservatory offers quadruple aspect lighting and is an ideal retreat in all four seasons. There is a library, tap room, adjunct dining or breakfast room, rooms for office, study, nursery and playroom. The glass-covered veranda is accessed from the dining room and conservatory, and is unparalleled, offering outdoor entertaining in 3 seasons. The Breezes is reminiscent of an English country house. There are 3 floors of living space, a large wine cellar, state of the art mechanicals and attention to every detail. Life at The Breezes is like ensconcing oneself in a film. Your quest for a perfect view from an exciting home in a prime location has come to an end! 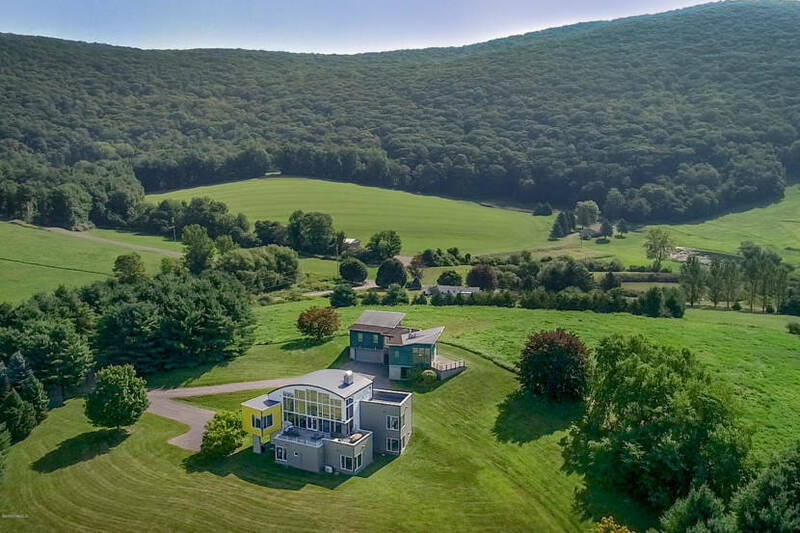 This striking modern home, surrounded by breathtaking mountain views, features soaring wood ceilings and towering west-facing windows which bring the dramatic beauty of mountains, fields, water and sky streaming in. Each bedroom comes with a thoughtful corner window providing unique vantage points of pristine Columbia County. A second living space above the garage with two bedrooms and two baths is equally dramatic with a continuous interplay of wood, glass, and mountains. 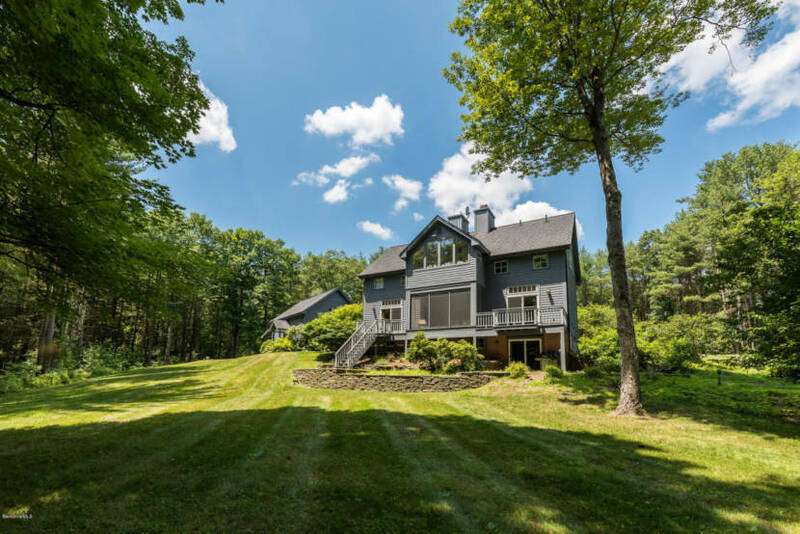 Its position equidistant from Great Barrington and Hudson and minutes from Hillsdale, Ski Catamount and hiking trails makes this location pinpoint perfect. This property needs to be experienced to be fully appreciated. Just like a fine Swiss watch, this exceptional property is masterfully designed, precisely constructed, and meticulously cared for. 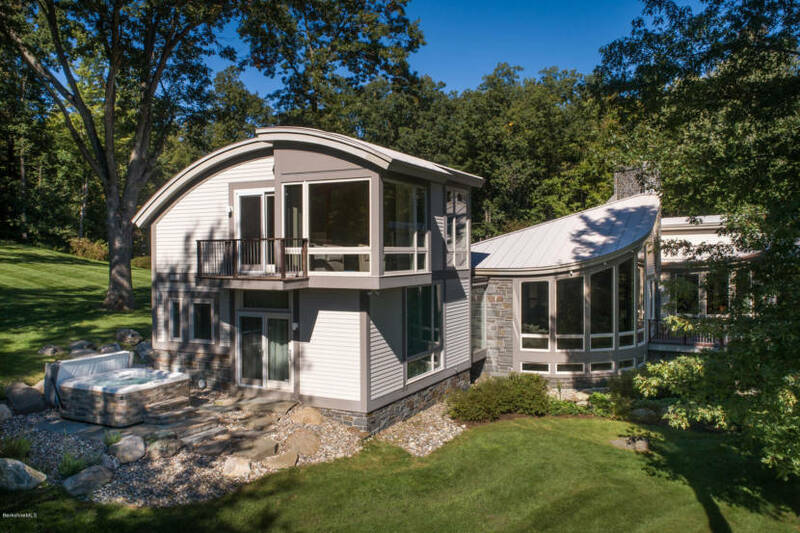 Neatly nestled on 95 acres of rolling fields and woodlands, local architect Clark & Green created a playful structure of glass, stone, and curves, which is elegant yet warm, and lighthearted. Absolute privacy, peace and quiet, along with stunning views and pristine landscaping create a perfect country retreat with a zen-like atmosphere. A guest house above the garage, screened porch, Jacuzzi, and organic vegetable/flower garden are just a few of the extras. 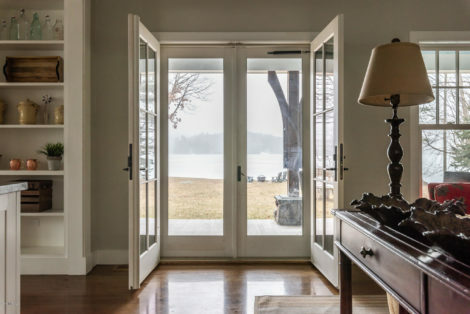 The location is just as exceptional: only 25 minutes to Hudson, 10 minutes to Chatham, four minutes to the farm market in Kinderhook and two minutes to the Winding Brook Country Club for swimming and golf. 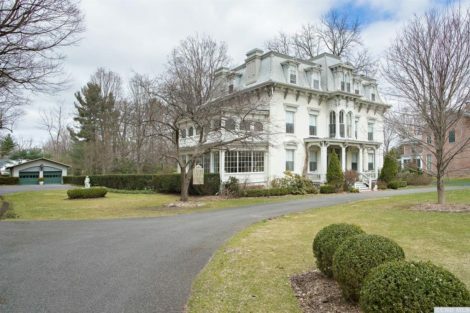 Life will be just that much sweeter while you enjoy the bounty of the Hudson Valley from this extraordinary home.